The curve has been raised for the local plus size scene. 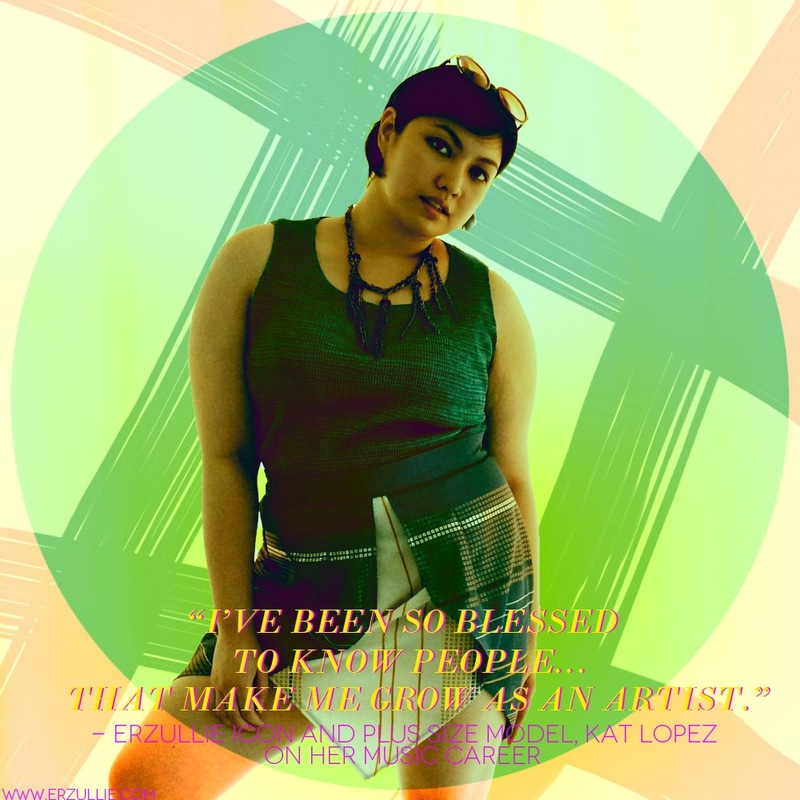 Erzullie Icon and Plus Size Model, Kat Lopez, is about to rock our world with her music and modeling prowess. Her thoughts as her career elevates? She shares. #1 You’re back in the roster of Erzullie Icons for 2014! How does it feel? I feel more like I am part of a family now. And I never feel like a veteran (if being a veteran means being "more experienced") I am learning a lot from the other models. To add, I am now even more comfortable in my own skin. This time around I have more meaningful relationships with the people in the industry and this is inspiring. #2 New Erzullie Icons came in, any thoughts in that? I love Monica's sass. She projects so fiercely in amazingly different ways. I hope that she enjoys the ride! The chance and ability to model is a gift. Use profusely! I love the changes that they brought! More friends, more challenges are always good! Shoot sessions are also becoming more frequent, which gives us models the chance to hone both our skills and strengthen our bonds. We end up seeing each other more and feel more inspired and empowered because of this. #3 Let’s go to the other side, how is your music career? I'm happily enjoying THAT ride as well. So far I’ve been so blessed to know people in the indie scene that make me grow as an artist. I met Knowa and Flave (the boys of QYork) at a songwriting camp a few years back. We found we have good chemistry in songwriting and we've been doing projects since. They are exactly like the ERZULLIE designers... they have both honed my technical skills and nourished my artistry. #4 So how do you handle both careers? Like I said, life is too short to avoid challenges. I'd choose meaning over comfort anytime, especially when it comes to music and modeling. I just have to force myself to be disciplined with my time. In one day I have to do something for my artistic pursuits and my day job as well. All these demands from these different paths have to be woven carefully into the week's schedule. #5 Any future plans/hopes for your plus size modeling career? I want to do runway so badly! I want to model gowns! I want to continue modeling for fabulous game-changing clothes like those of ERZULLIE! I also will be coming out with a new single soon. I am currently on tour with Jay-R's Homeworkz Label and Q-York's Edutainment brand. I am enjoying what is happening to my music right now and am continuing the surf this wave of opportunity.